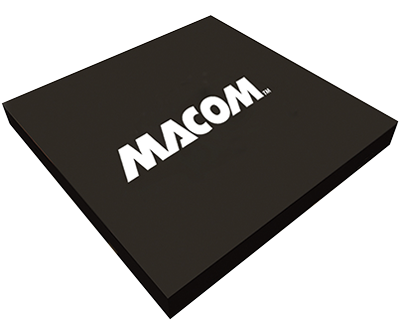 MACOM’s three stage 35.0-45.0 GHz GaAs MMIC buffer amplifier has a small signal gain of 23.0 dB with a noise figure of 2.7 dB across the band. This MMIC uses MACOM’s GaAs PHEMT device model technology, and is based upon electron beam lithography to ensure high repeatability and uniformity. The chip has surface passivation to protect and provide a rugged part with backside via holes and gold metallization to allow either a conductive epoxy or eutectic solder die attach process. This device is well suited for Millimeter-wave Point-to-Point Radio, SATCOM and VSAT applications.